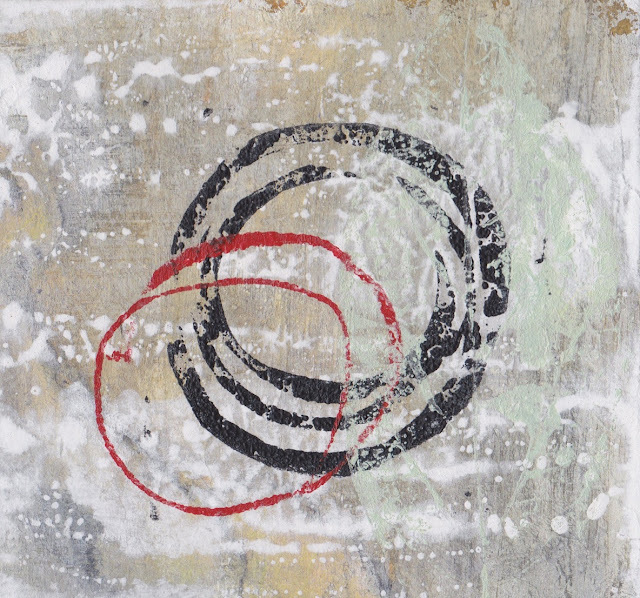 I enjoy the process of creating small Enso pieces. There is a lot of unexpected results that occur with these art pieces. They take flexibility, patience and forgiveness on my part. Each layer needs time to dry completely before I add another. Every layer has its own character. Some are cranky while others are not. Each one deserves its own focus, and in the end they all come together to make up one piece. We do not need magic to transform our world. We carry all the power we need inside ourselves already. 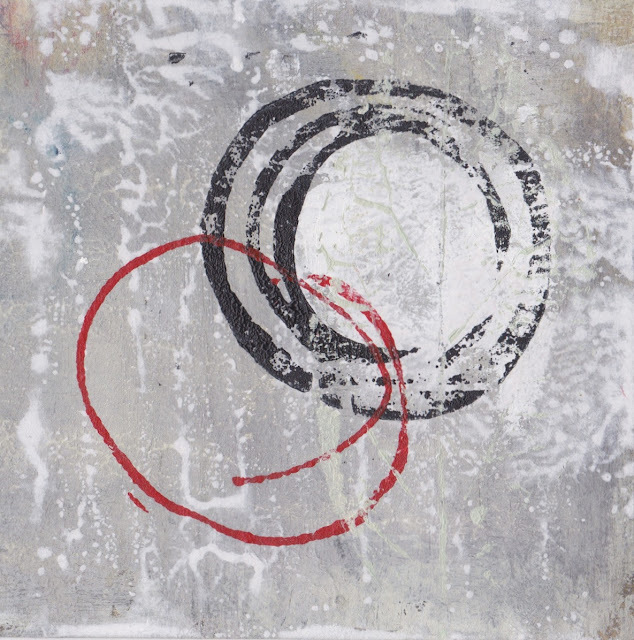 Love your Enso art, it speaks to me! This is beautiful. I love how each layer can affect the others. Oh how wonderful this is. I love it! Lovely art piece, Juana...nice effect with the layers.